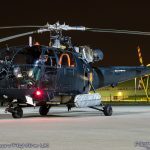 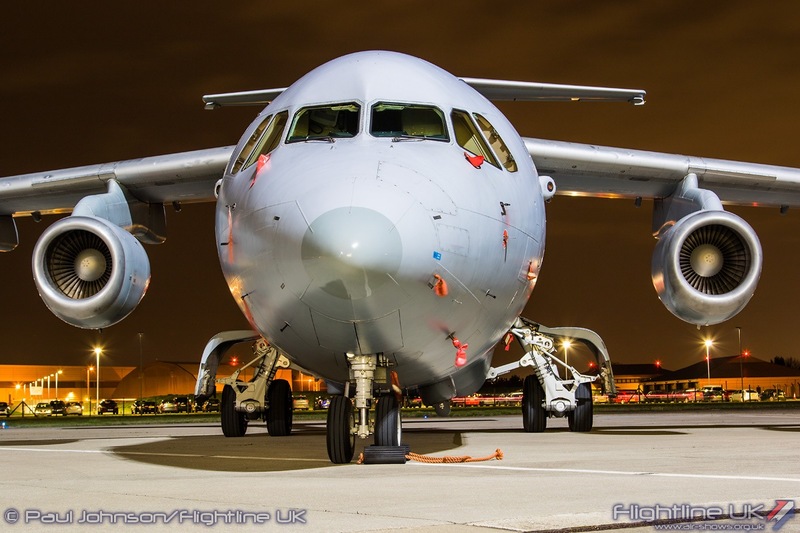 RAF Northolt Nightshoot XXVI was at the mercy of some very lively spring weather which put off a number of the participating aircraft from flying in to London’s military airport. 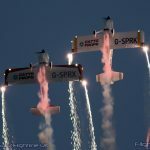 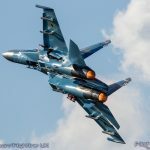 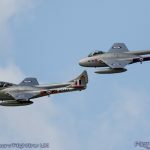 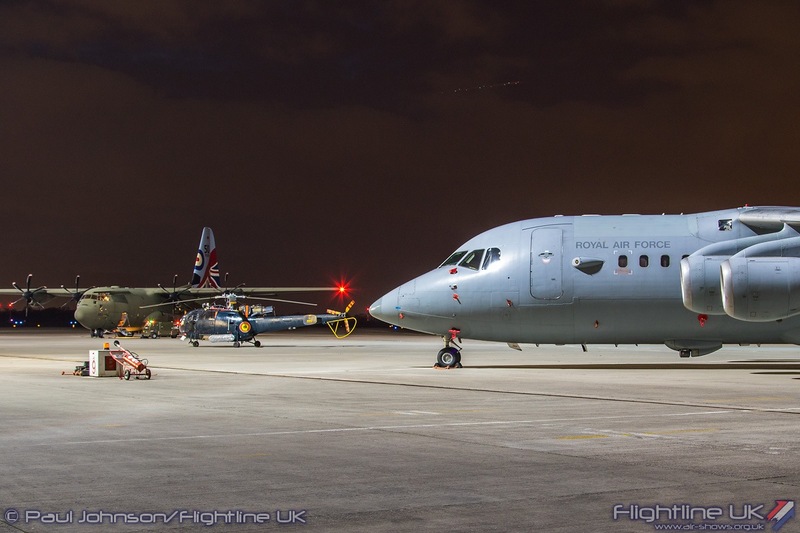 However, even though there were just two visiting aircraft the event went ahead as planned and still proved to an enjoyable few hours under the floodlights. 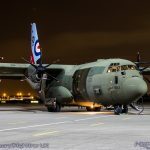 March 2019 has proved to be quite a stormy month in the UK following an unseasonable warm February. 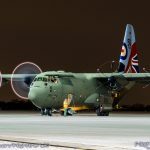 Strong winds and blustery showers do no mix well with aviation and sadly this forced many of the planned participants to abandon plans to attend the Nightshoot. 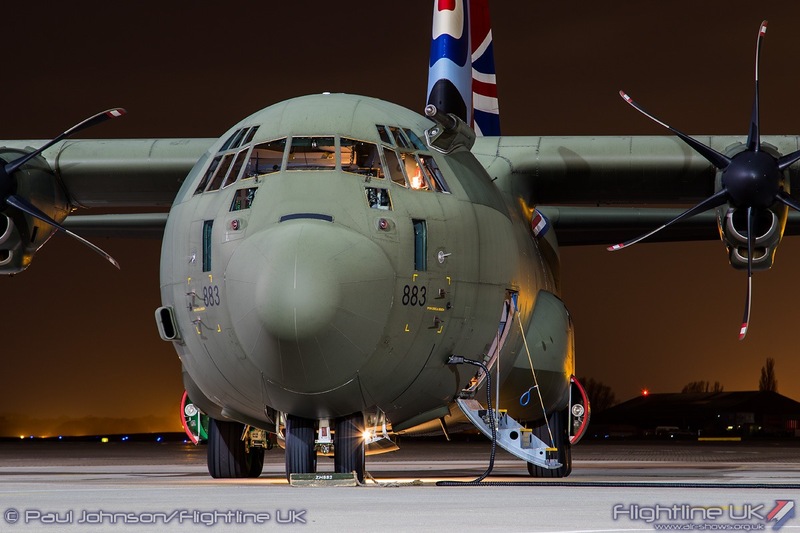 However, with two of the planned star turns still able to make it to the Middlesex airfield, the 26th Nightshoot went ahead as planned. 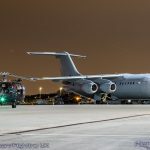 Credit must go to the volunteers that organise the event for contacting many of the attending photographers in advance to warn them of the limited line-up and the plan to continue with the event. 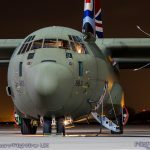 The main beneficiary of the Nightshoots is the project to restore Northolt’s Battle of Britain Operations room housed in Building 27. 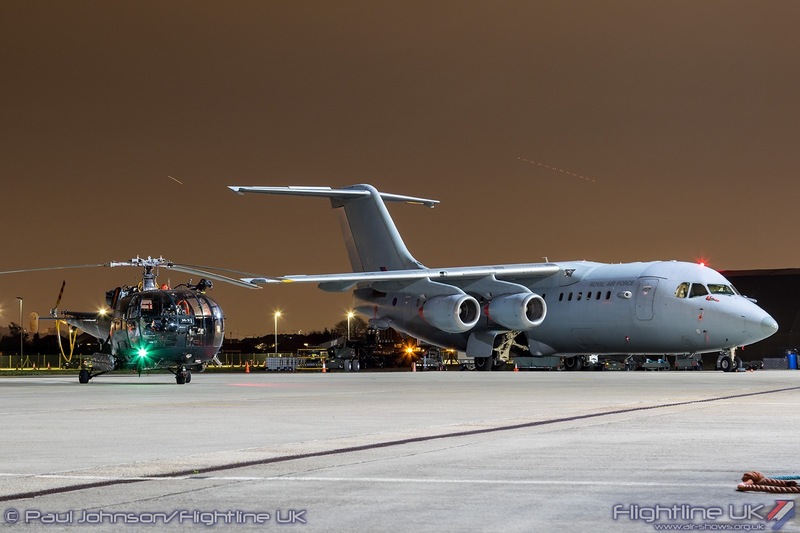 However, the event also supports the Royal Air Forces Association and the London Air Ambulance which have small trades stands in one of the hangars alongside the all-important catering! 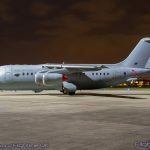 Northolt is home to No 32 Squadron which supports the Royal Air Force’s air transport fleet with a mix of Bae 146 CC2/3s and a Leonardo AW109SP GrandNew. 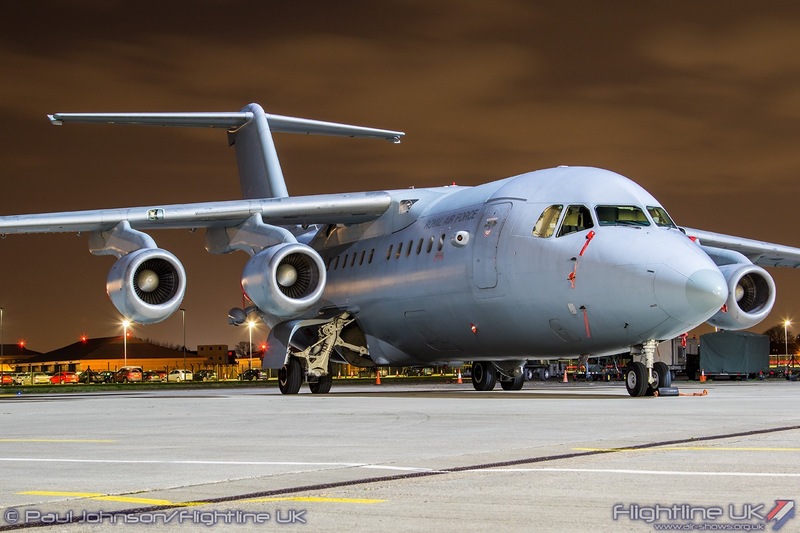 One of the squadron’s BAe 146 C3 aircraft joined the photoshoot aircraft. 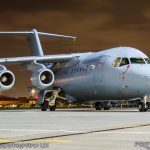 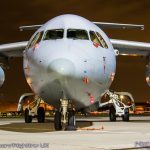 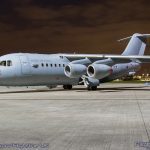 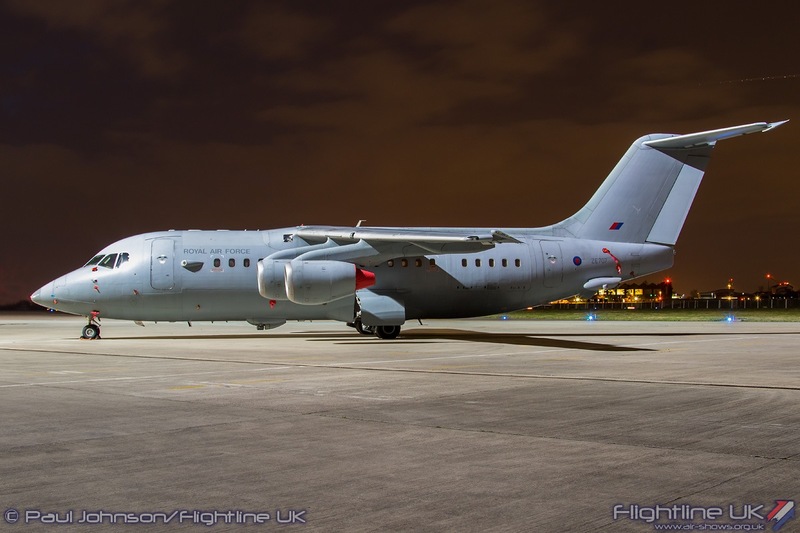 The C3 is a militarised version of the BAe 146-200QC aircraft acquired to bolster the RAF tactical airlift capability. 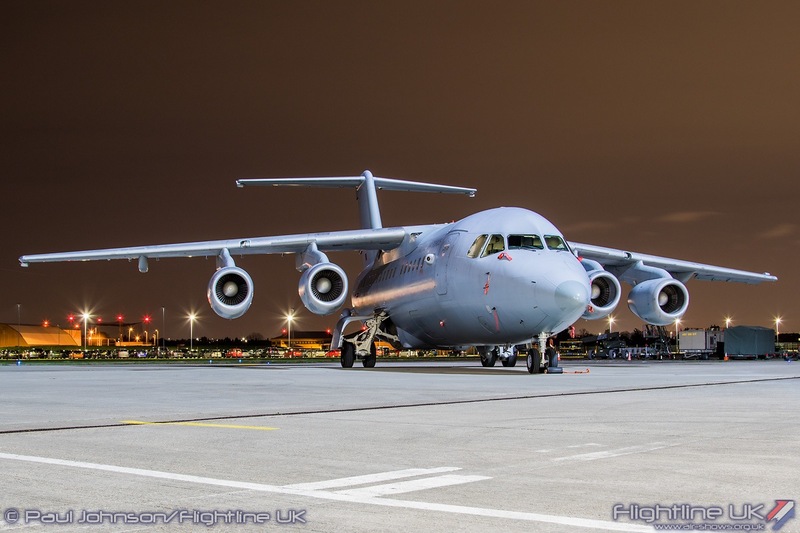 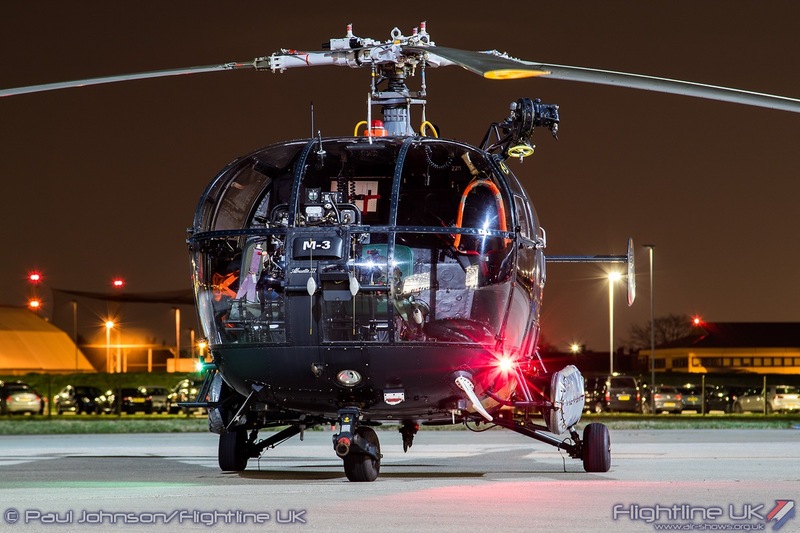 The aircraft are capable of operating for long deployments with minimal support and can transport both personnel and freight. 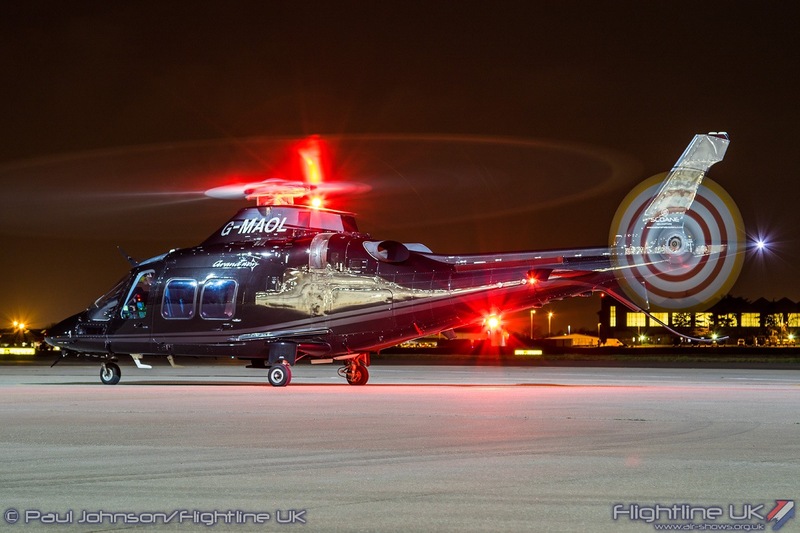 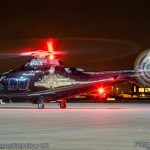 Another aircraft operating in support of No 32 Squadron during the Nightshoot was Leonardo AW109 GrandNew G-MAOL. 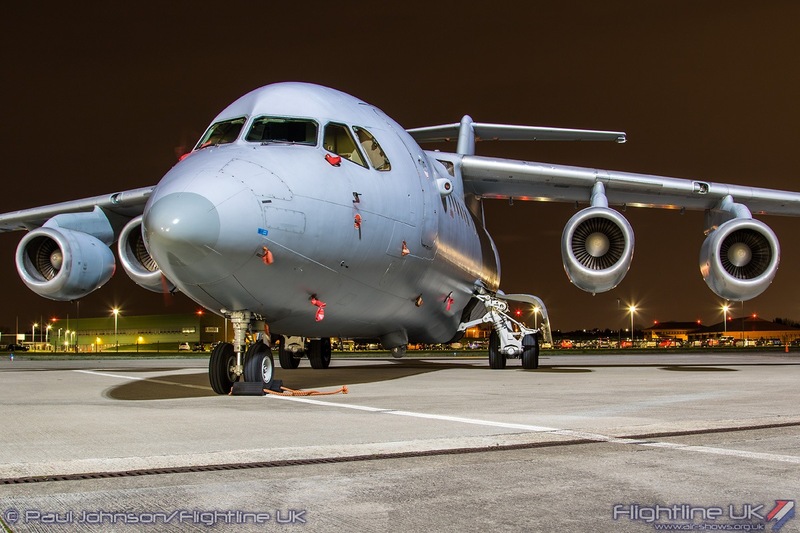 This aircraft is current on loan to 32 Squadron while their own aircraft GZ100 is undergoing maintenance. 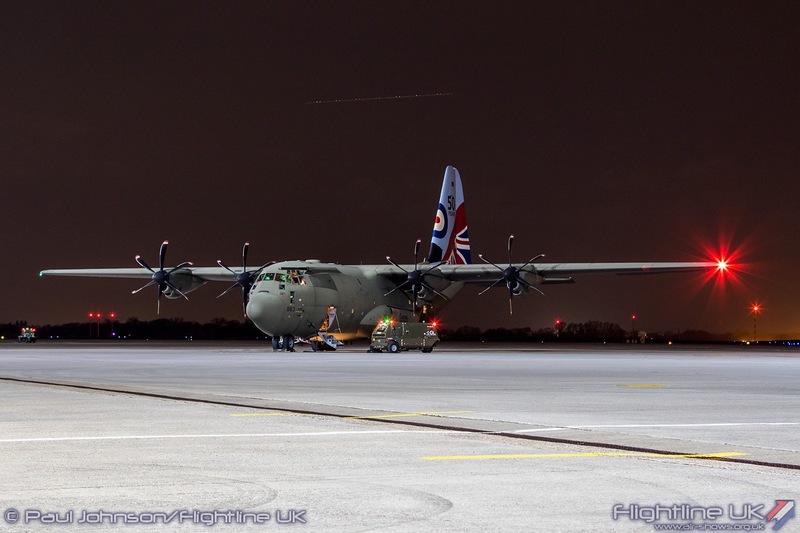 ‘OL was on task during the event departing shortly before the Nightshoot got underway and arriving back later in the evening. 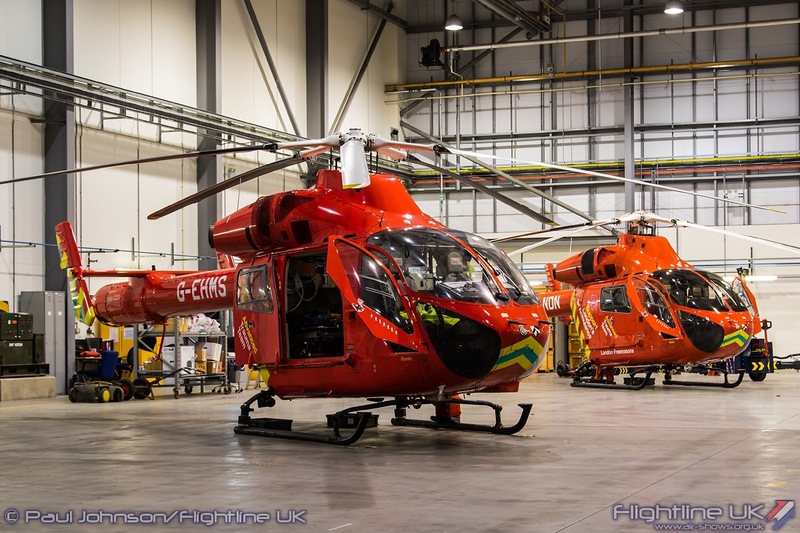 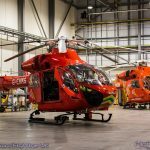 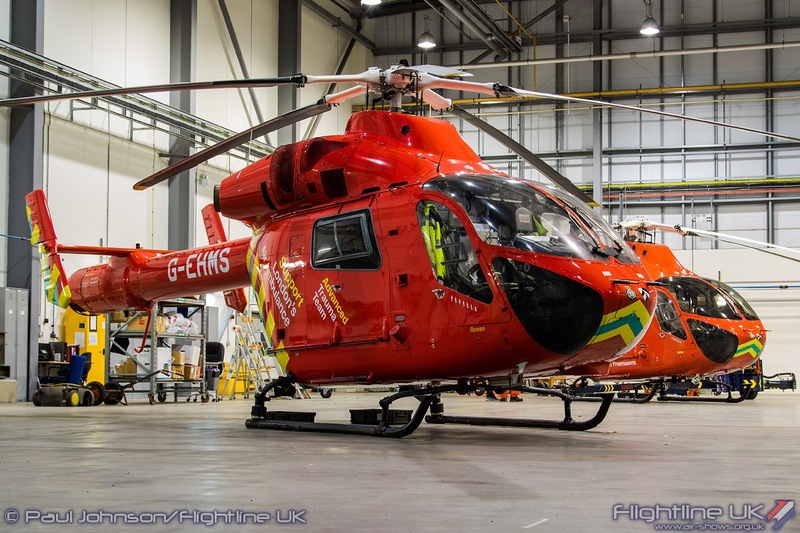 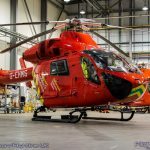 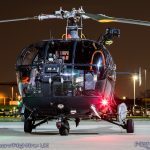 Northolt is also home to the London Air Ambulance’s pair of MD Helicopters MD900 Explorers and both were on show in their hangar pod. 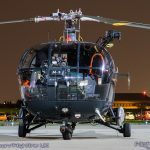 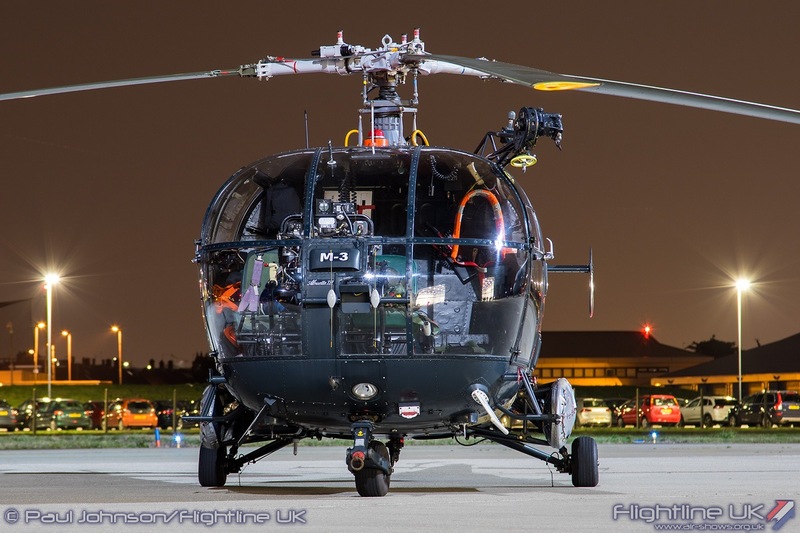 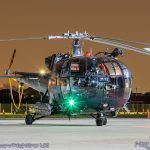 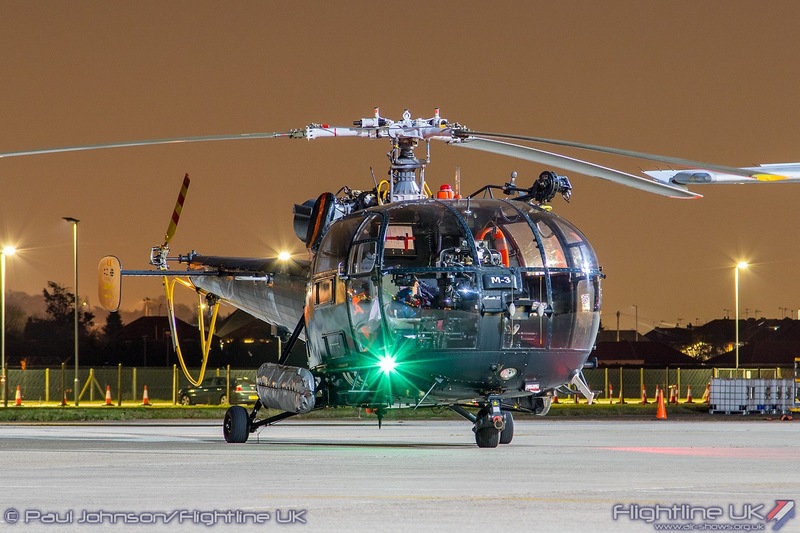 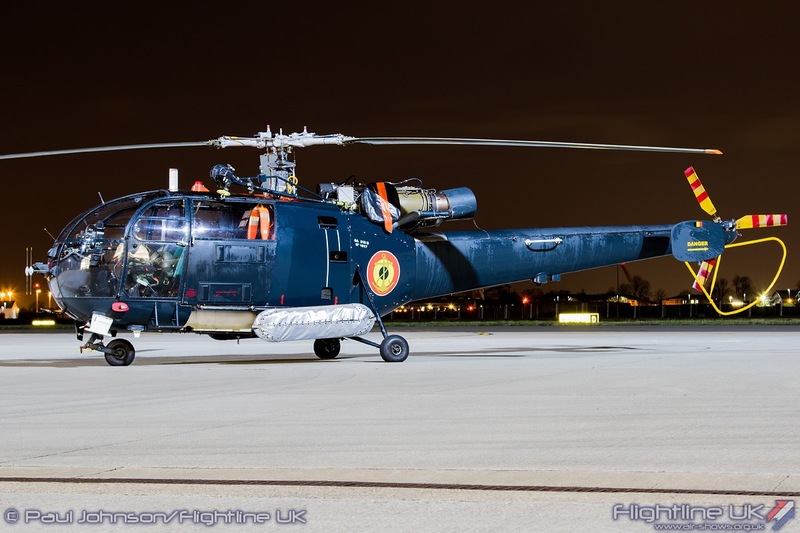 The only international participant was a Sud-Aviation SA316B Alouette III from the Belgian Air Component. 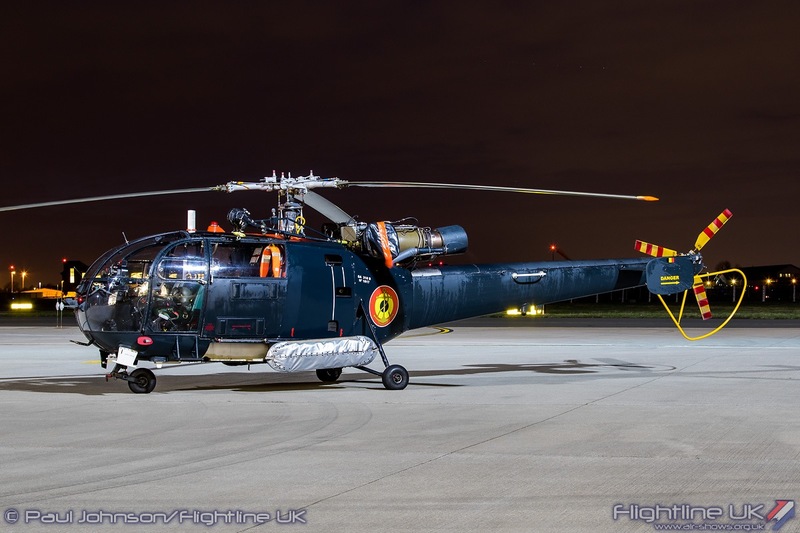 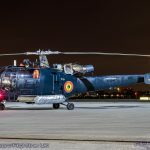 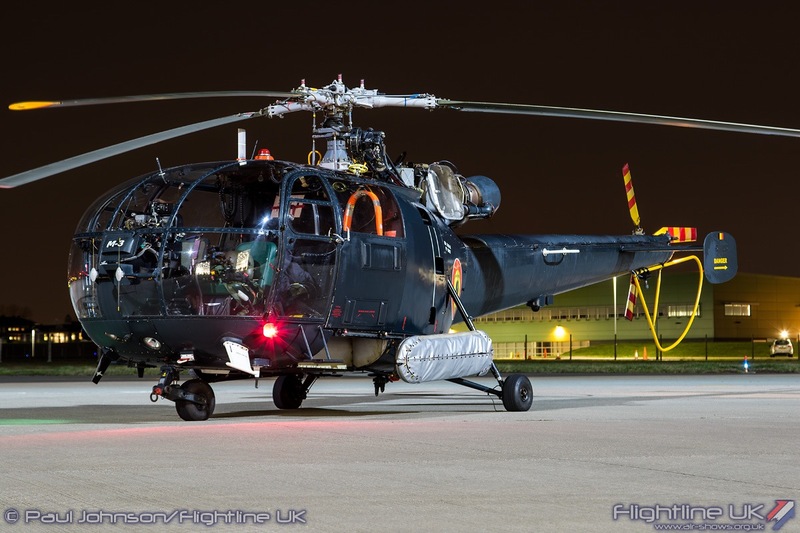 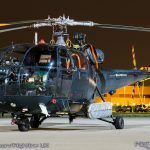 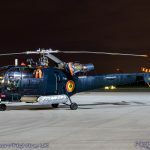 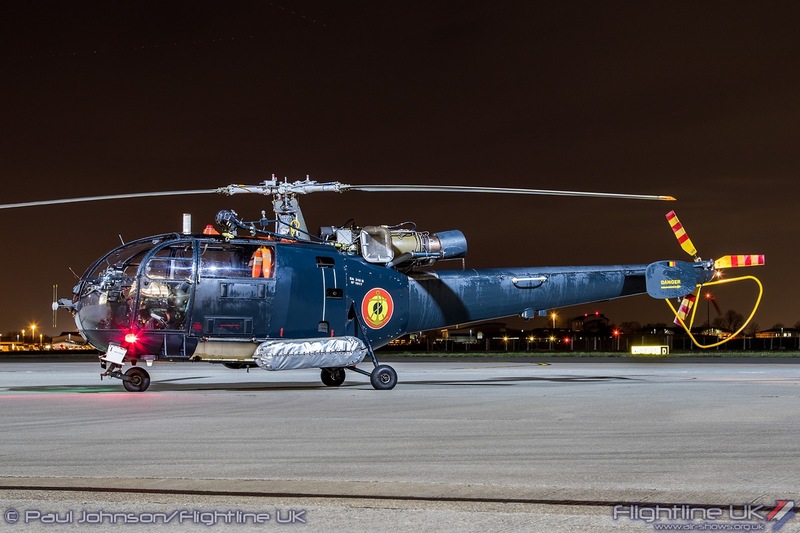 The Alouette III supports Belgium’s naval operations in a utility role and are currently based near the coast at Koksijde Air Base alongside the search and rescue NH90 Helicopters. 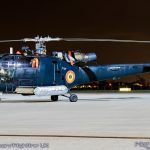 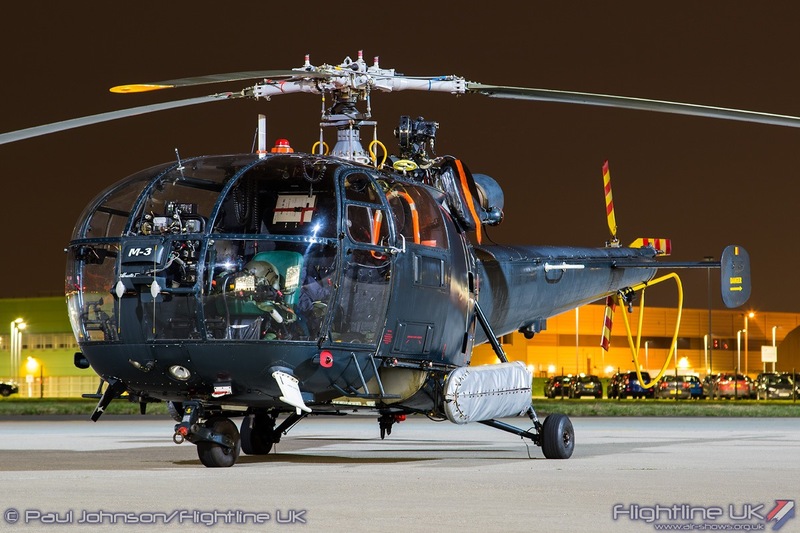 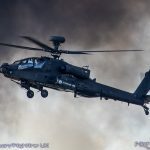 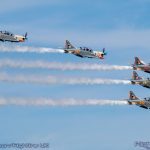 With just three helicopters in service, Belgian Alouettes are rare airshow participants making just a handful of UK appearances over the last few years so their visit to Northolt was most welcome. 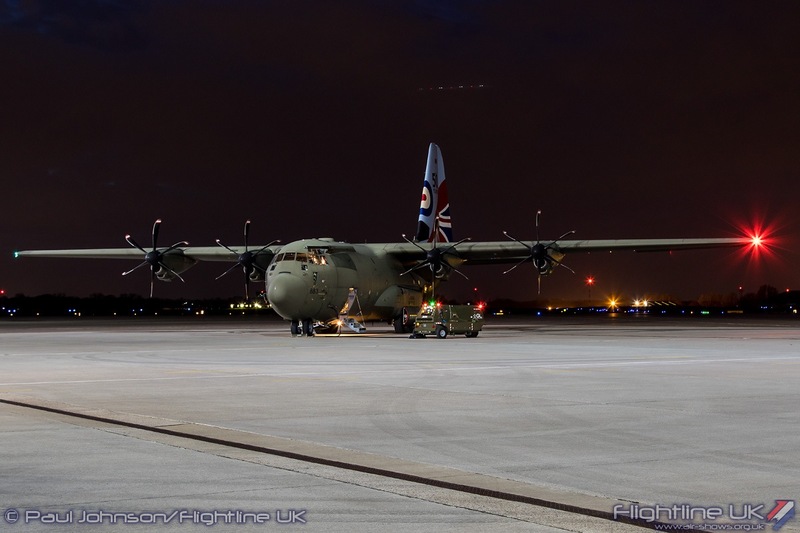 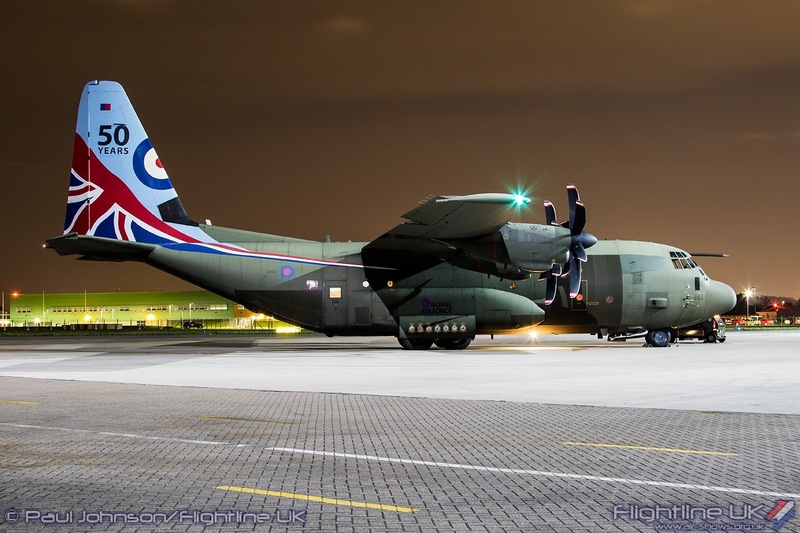 Flying into and out of Northolt during the evening was a 47 Squadron Lockheed Martin C-130J Hercules C5. 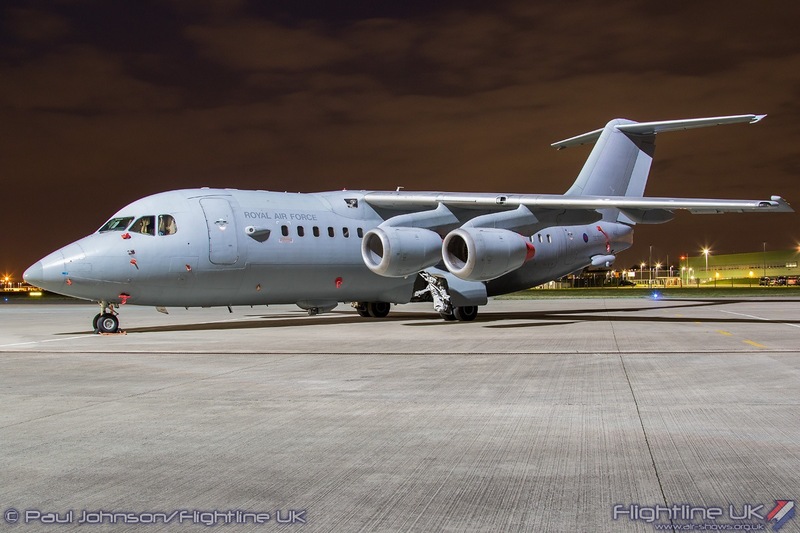 This particular aircraft, ZH883, is due to retire from the Royal Air Force very soon and join the Royal Bahraini Air Force following a period of maintenance at Marshalls. 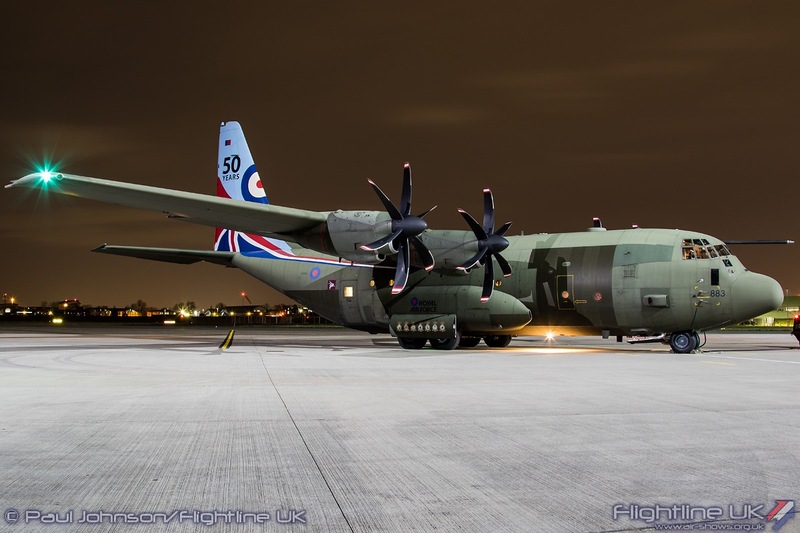 ZH883 wears a special scheme marking 50 years of Royal Air Force Hercules operations. 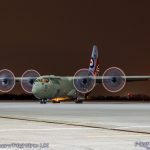 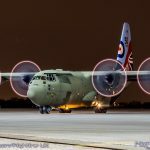 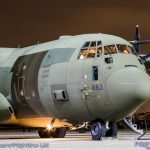 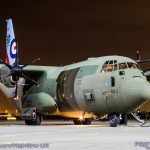 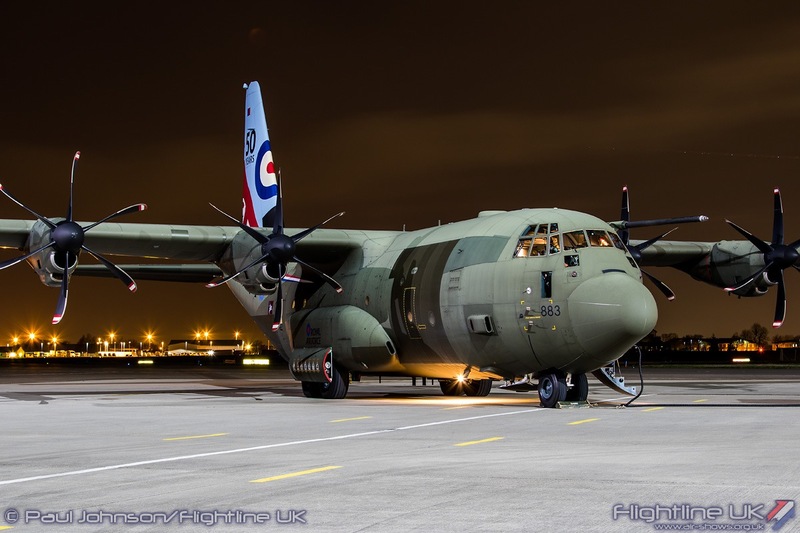 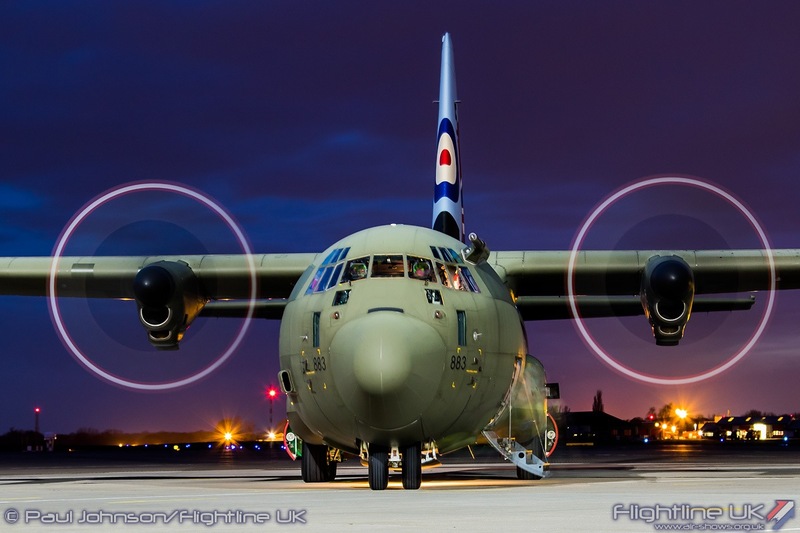 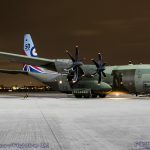 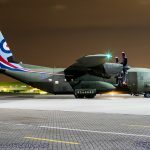 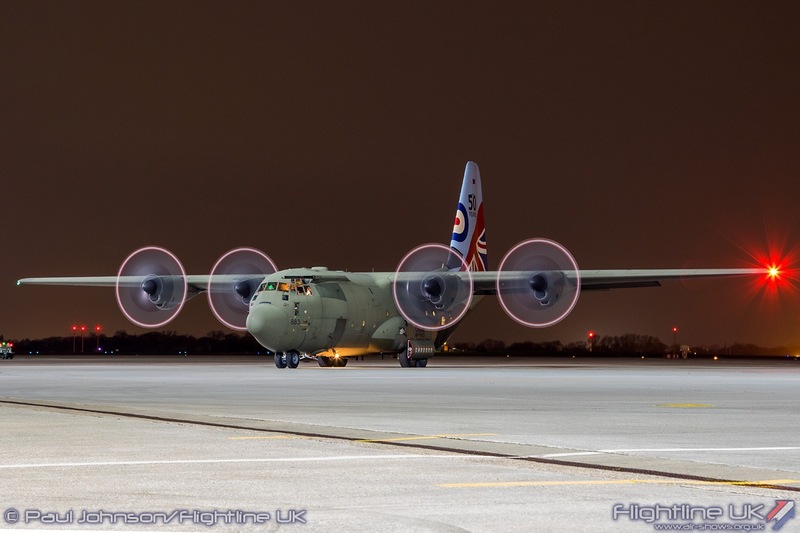 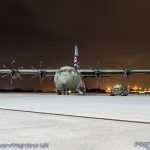 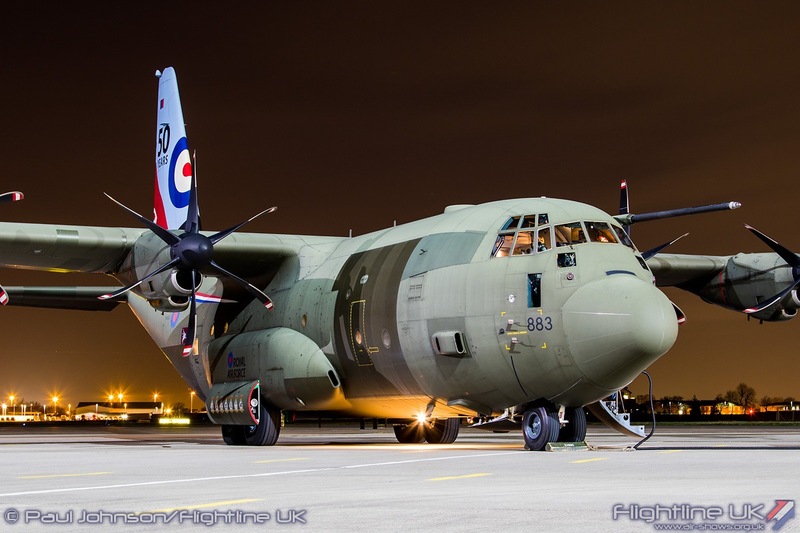 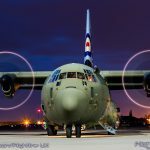 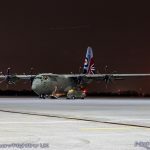 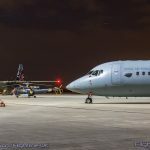 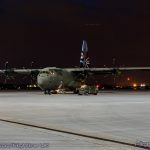 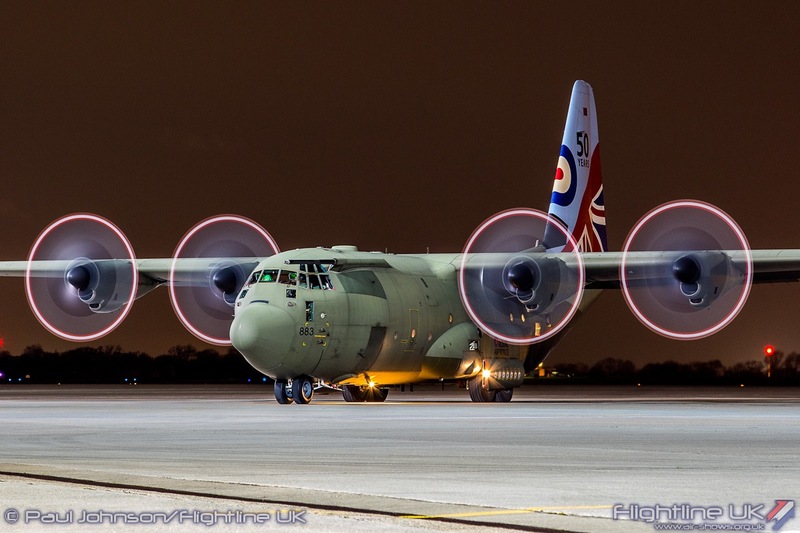 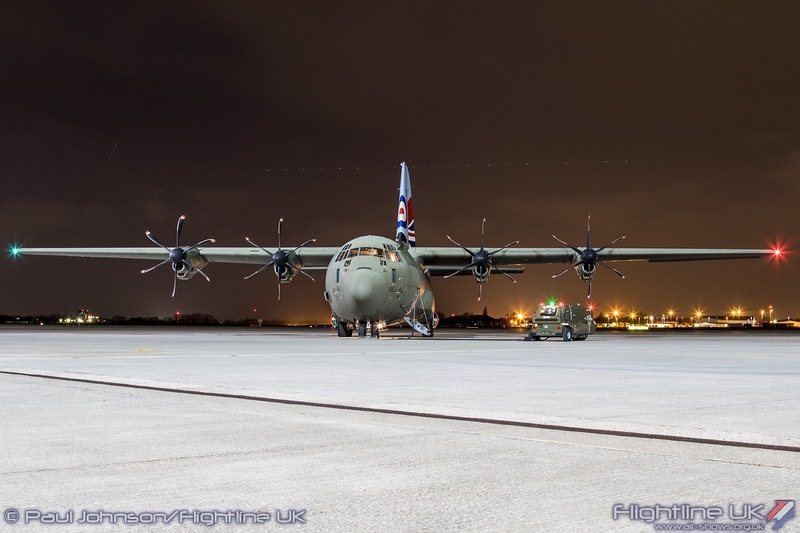 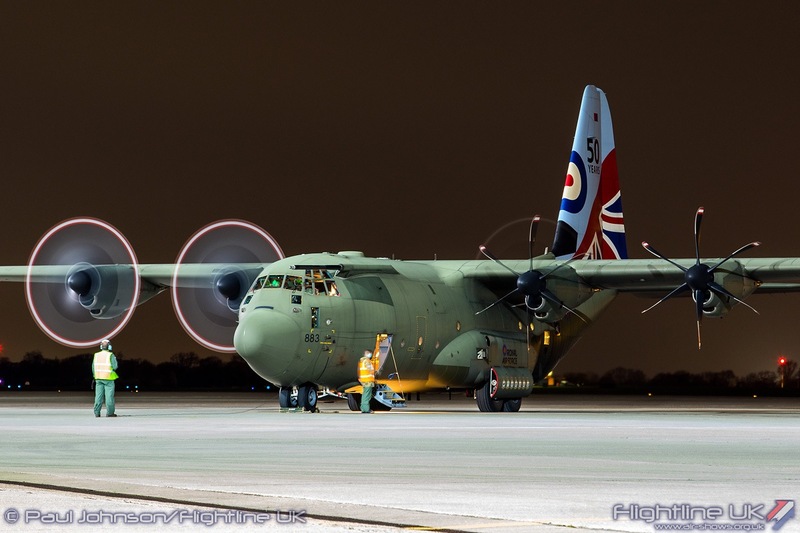 Sadly, posed engine runs cannot be performed at Nightshoots but the arrival and departure of the Hercules did mean the gathered photographers could capture some action shots with propellers turning. 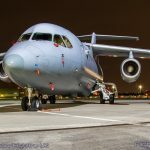 Despite the much-reduced number of participants, it was still an very enjoyable evening thanks to the efforts of the aircrews plus the RAF personnel and volunteers. 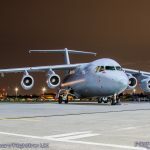 Northolt is due to close for much 2019 as the runway is being re-load. 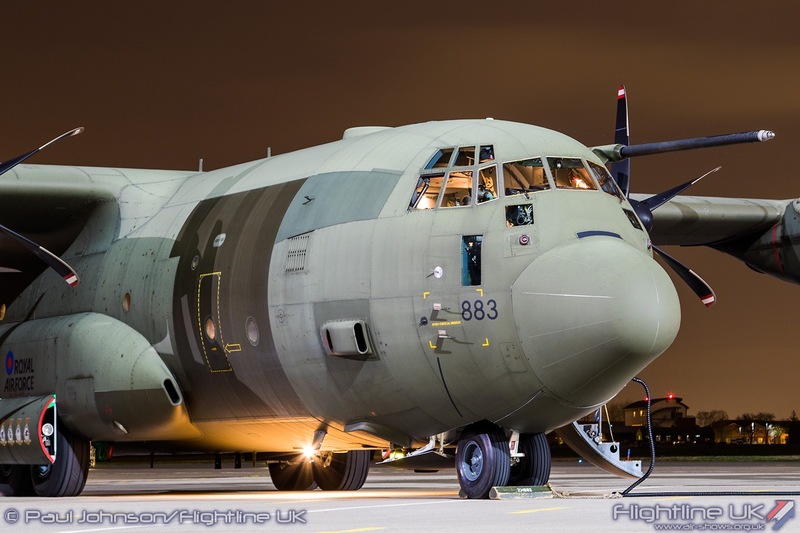 We hope it is not too long before we are back under the floodlights.